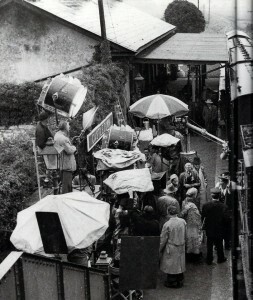 In June 1951 the cast and crew of ‘The Quiet Man’ rolled into the West of Ireland to commence filming. Even though it was the middle of the summer the weather was its typical Irish self. It was late June but they were unlucky with the weather and what appears for less than five minutes on the film took almost three weeks to get `in the can’. 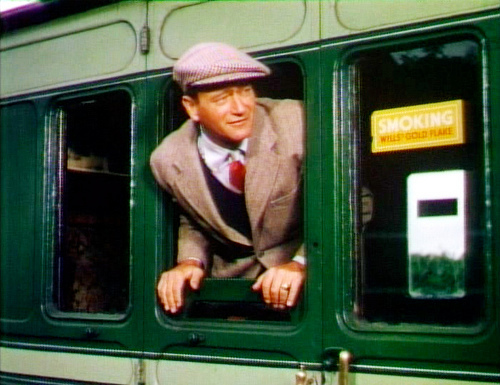 The film opens with the arrival of a returning emigrant by train. The station was named “Castletown” for the film and a special old steam train with two 1920 type carriages came out from Tuam each day for that scene and for another where Maureen O’Hara newly wedded is leaving by train when hubby, John Wayne rides in and finds her in the last carriage and drags her away to get her `fortune’ from her brother. This second scene caused most trouble and I watched at least six re-takes one fine Sunday. But eventually they got the film made and it proved a winner. It has done more than anything else to make Ballyglunin known far and wide. On Wednesday last the Ballyglunin Railway Restoration Project received a massive boost through funding of €80,000 from Galway County Council following a detailed application by the group to the National Town and Village Renewal Scheme.